If you’re allergic to laughter, get your meds ready. Nag Nag Nag will exercise your laugh muscles. It might even make you wet your pants. Megan and Emmett share many of the same quirks and problems as other married couples. The way they deal with them might take you aback. Discover how Emmett copes with Megan’s nagging. Learn how Megan treats telemarketers. Her once-in-a-lifetime offer makes them hang up. Every time. Will Emmett ever fix the blasted dishwasher? You’ll be shocked when you realize why it broke in the first place. And how does he get around Megan’s cat rules? Granddaughters, Violet and Lisa, provide a few surprises and chuckles too, with the unique perspectives of youth. Their widowed mother, Marsha, is determined to raise her daughters right. That means healthy food like broccoli. Yuck! The difference between broccoli and snot is that kids don’t eat broccoli. And we can’t forget Sabrina, the Siamese cat. You’ll find her meowing and purring her way into your heart as she careens around corners and wins the affections of the most unlikely characters. 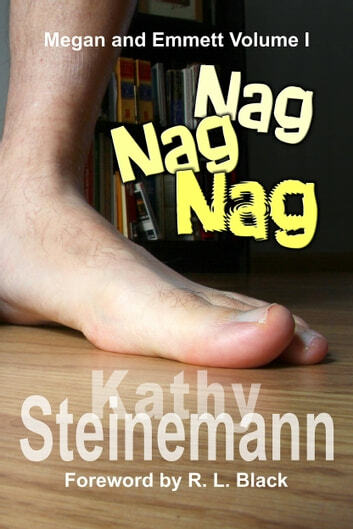 Nag Nag Nag will entertain you with laughs, tears, and unexpected twists.